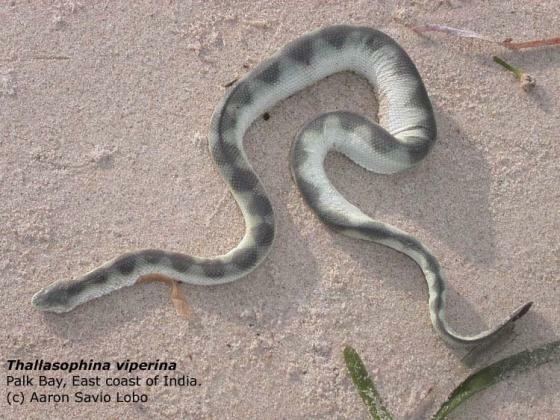 Can you confirm these amateur observations of Hydrophis viperinus? Gulf of Thailand, Myanmar (= Burma). Diagnosis: REZAIE-ATAGHOLIPOUR et al. 2016: 140. Synonymy partly after STEJNEGER 1907. FISCHER’s (1856) description of Hydrophis doliata was apparently based on SCHMIDT’s type of Thalassophis viperina (according to STEJNEGER 1907). The question of priority (Thalassophina vs. Praescutata) arises because of uncertainty of just when the errata notice that accompanies Wall’s original description of the genus was inserted into his publication, before or after distribution had begun (for details see LEVITON et al. 2003 or DAVID & INEICH 1999). 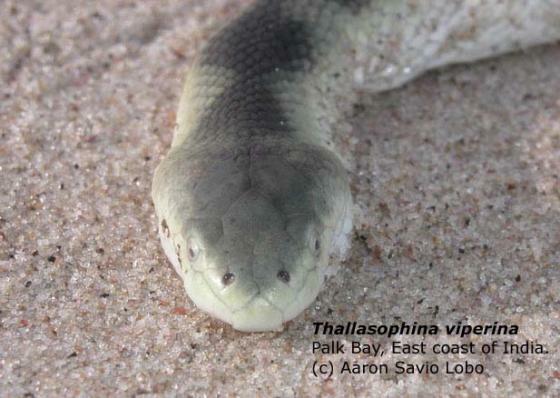 Type species: Thalassophis viperina Schmidt 1852 is the type species of the genus Thalassophina Smith, 1926:33.